an agreement with the channel manager CultSwitch from Cultuzz. You can find a form listing their prices and terms in your Lodgit account at www.lodgit.com. Lodgit users will receive a special pricing as listed in the form. Please note: It is not recommended to put all your units online if you connect several units to one channel manager category (e.g. 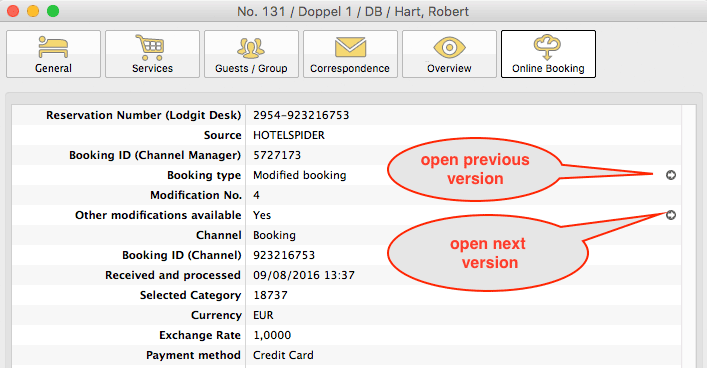 single bedrooms in Lodgit to category “Single” in channel manager). Leave at least 1 unit online, so you’ll have some breathing room in the event of overbookings. 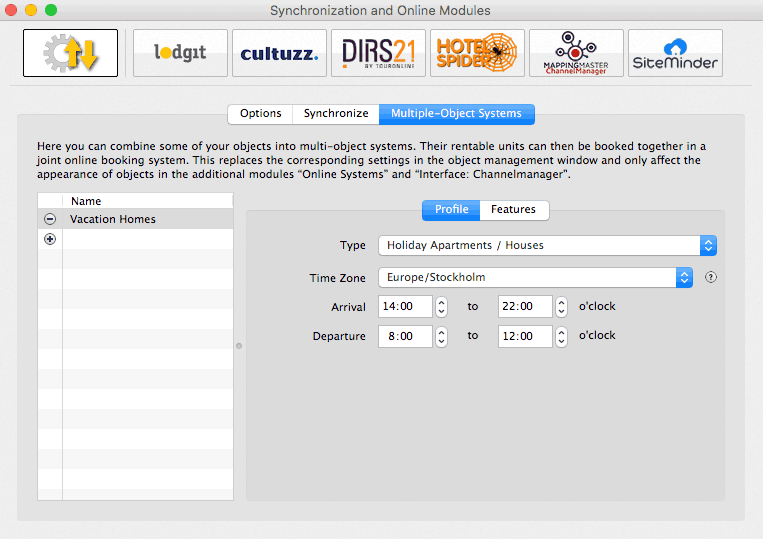 First, you’ll have to set up the units or categories you want to offer in the OTAs in CultSwitch. For any questions about this process, the Cultuzz team will be happy to help. After you have added the categories or units in Cultuzz, you can now assign them to the appropriate units in Lodgit Desk. Enter your Cultuzz Object ID into the field and then press the button Load Cultuzz IDs. Then, switch to the tab Cultuzz Categories. First, select the Mode (see red arrow). 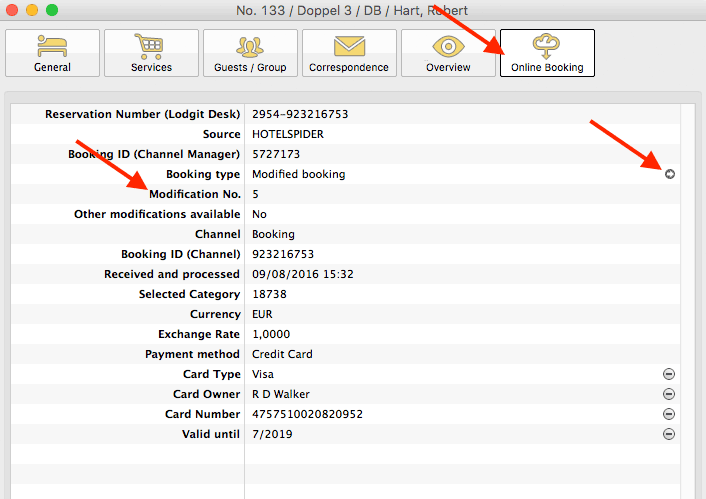 The Category Mode is suited best for accommodations with a lot of similar units, like a hotel. The Unit Mode is best suited for accommodations with very individual units, like a vacation home rental. In the left column you’ll find your units or unit categories, depending on which mode you’ve selected. In the right column you can choose which Cultuzz category corresponds to which. Please note: Due to server sync schedules, it may take a few minutes before the changes are displayed in Cultuzz. As a Cultuzz premium partner, Lodgit can also send prices to the Channel Manager. 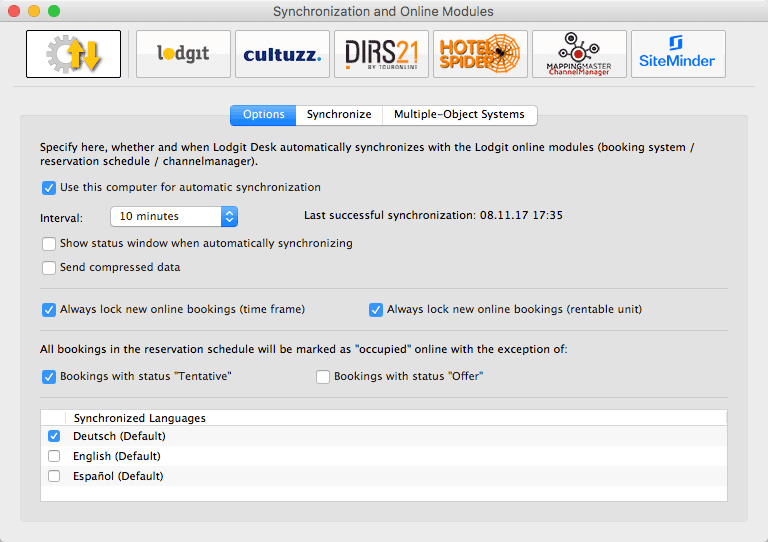 Important: You can manage the prices EITHER in Lodgit Desk OR in Cultuzz directly. Changes made to the prices in Cultuzz cannot be imported into Lodgit Desk. Select a Cultuzz category in the list and enter the base price. The base price is listed “per night” and default occupancy. It will always be used unless you’ve defined special prices for a time frame. You must add at least a base price for all categories! Test the connection by going to File > Synchronize. This will send your current prices of all selected units to the server and you can make sure the availabilities are listed correctly in the backend of the channel manager. 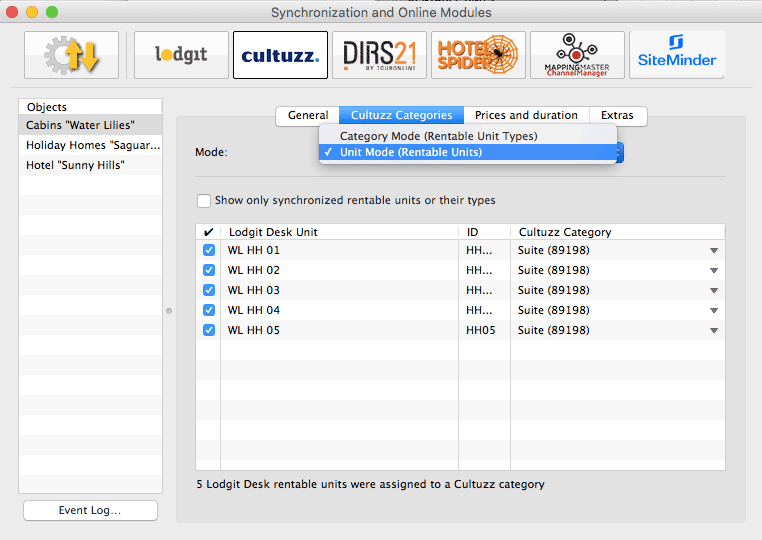 Cultuzz lets you create extras (“Products”) that you can link to the extras you have in Lodgit Desk. During the import of the bookings, the extras will then be selected and added to the booking correctly. That way, the bookings from Cultuzz will fit seamlessly into your analysis for extra items and services. 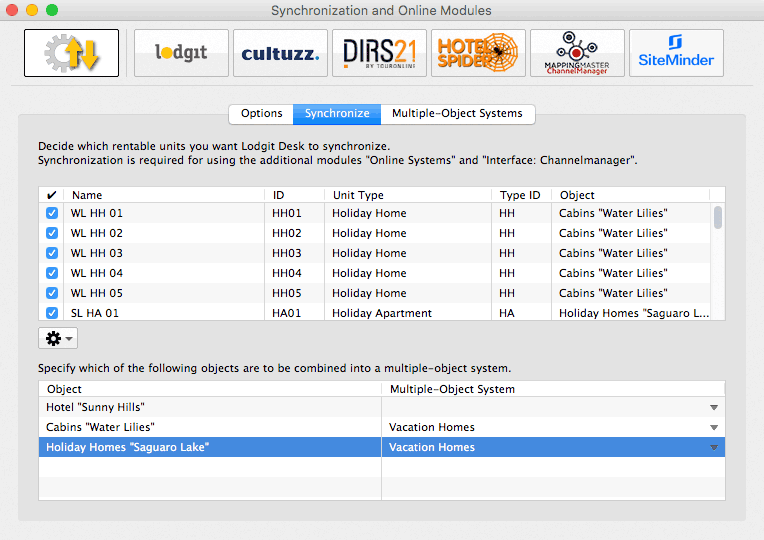 Select your object in the window Synchronization and Online Modules > Cultuzz and go to the Extras area. There you’ll find a table listing all of Cultuzz’ extras in the left column. Should you not see any extras listed in this table, please go back to General and click the button “Load Cultuzz IDs”. Test the connection by going to File > Synchronize. This will send your current extrasto the server and you can make sure everything is listed correctly in the backend of the channel manager.